Let Go and Let God's Supply Flow! Whether you use this study guide on your own or in a group setting, you'll come away from each session filled with hope and faith, and you'll live healthier and happier with God's aggressive peace guarding your heart and mind! 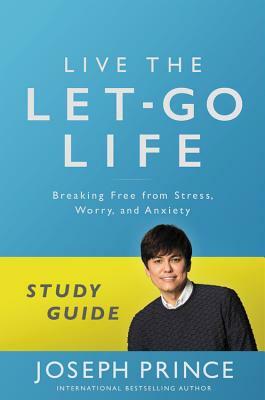 Joseph Prince is a leading voice in proclaiming the gospel of grace around the world through his teaching resources and television ministry. He is the senior pastor of New Creation Church, a vibrant and fast-growing church in Singapore, which has a congregation of more than 30,000. He separately heads Joseph Prince Ministries, Inc, an international broadcast ministry that seeks to build, encourage and inspire people with the gospel of Jesus Christ. He is the author of three books including the 2013 New York Times bestsellers, The Power of Right Believing and Grace Revolution.